The ISB Library’s Zine Mania was a smash hit! 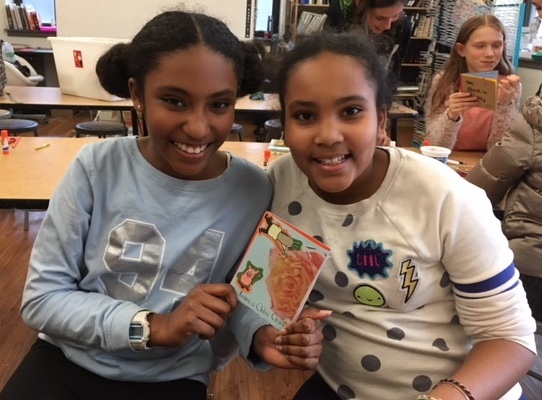 This six-part series of workshops was offered after school to students in 4th-8th Grade to introduce them to the world of zines and zine making. 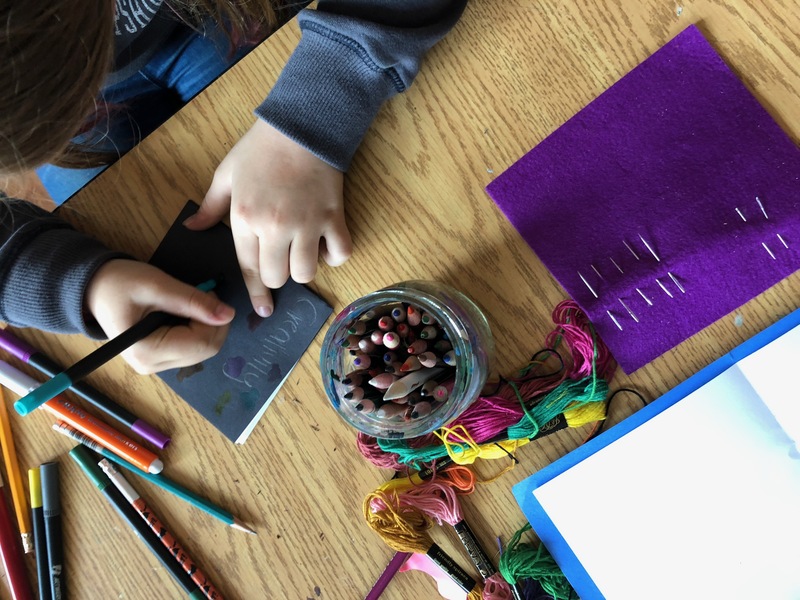 Each workshop was led by a different guest artist, with a line up that included authors, illustrators, photographers, educators, and bookmakers, all of whom brought their unique perspectives on the form. 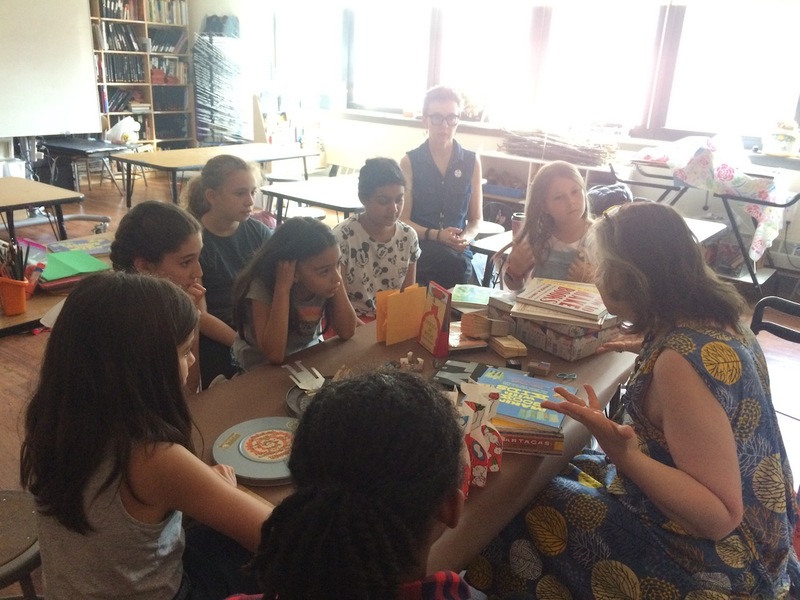 Zine Mania kicked off in April with “An Introduction to Zines” led by Brooklyn Public Library Outreach Librarian and Artist Leigh Hurwitz. 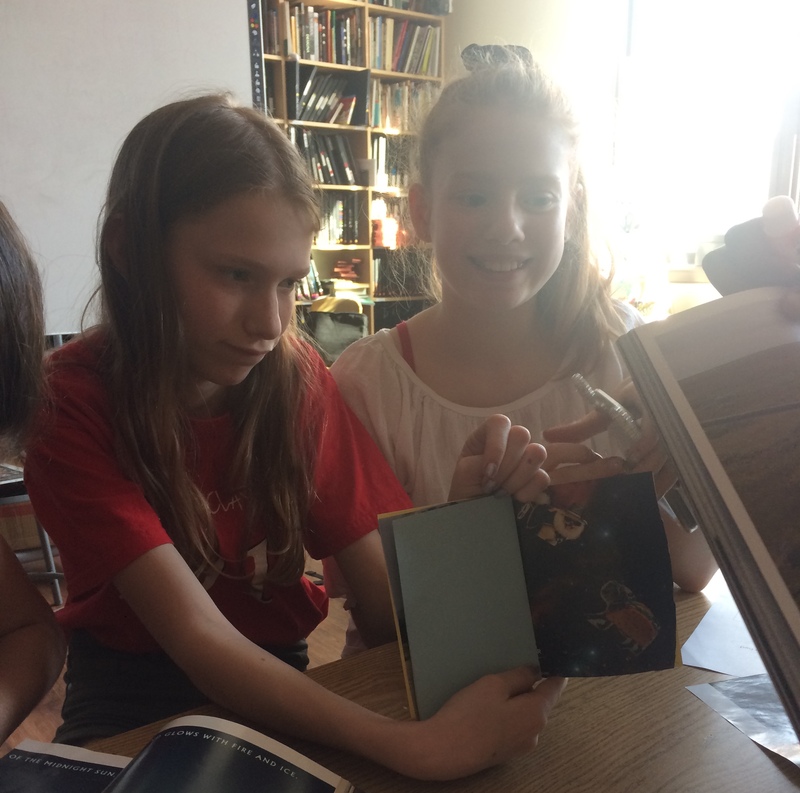 Students discussed the definition, history, and circulation of zines and then created their own. 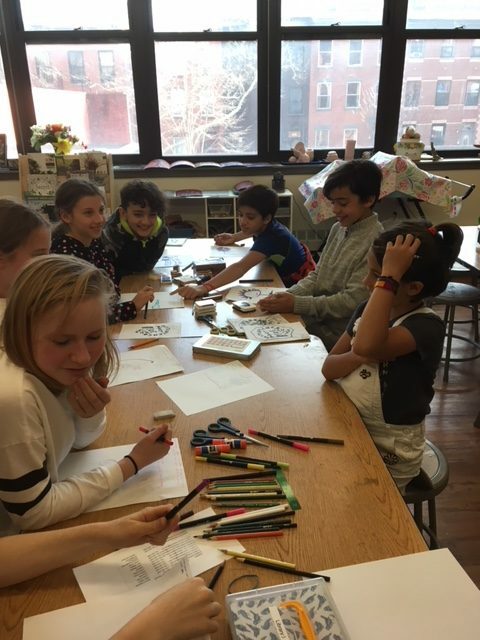 Midway through April, we were visited by the charming and talented Sara Varon, author and illustrator of the popular Odd Duck, Robot Dreams, and the Chicken and Cat and Sweater Weather series. 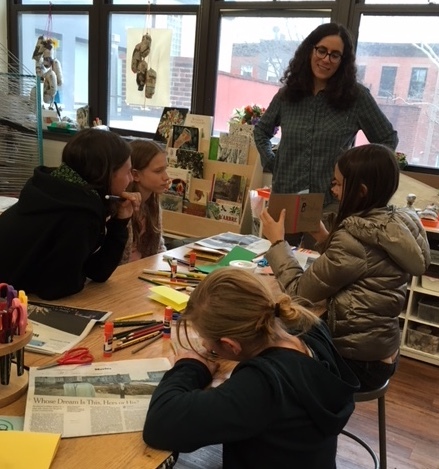 Sara taught attendees how to make zines filled with characters who have pop-up beaks! 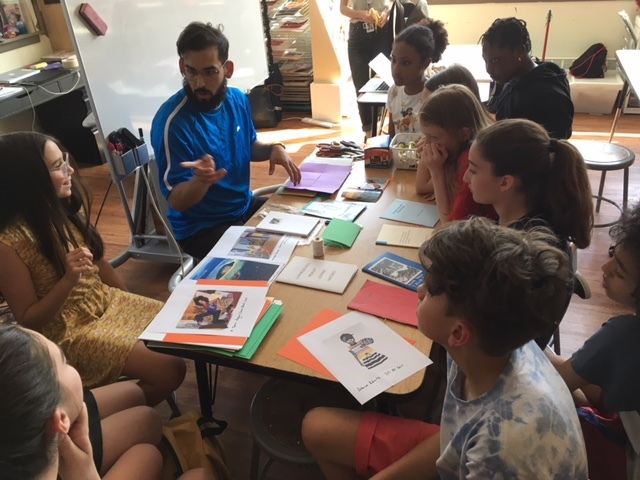 Eliseo Rivera, a photographer, artist, and technology integrator at Brooklyn Heights Montessori School, led students through an in-depth conversation about photo collage and introduced them to two methods of construction: a saddle stitched method and a single page folded version. Students looked at the samples of zines that Eliseo brought and noticed how they varied: some had lots of pictures, some had lots of colors, some had many words, and some had very few… and their topics ranged from sports, to politics, to simply “things the author likes.” The students discussed what they wanted to make for their own photo collage zines. Was it going to be a personal reflection? Or a creative exploration? What would the subject be? The zines came out beautifully, and they varied widely in form and content. 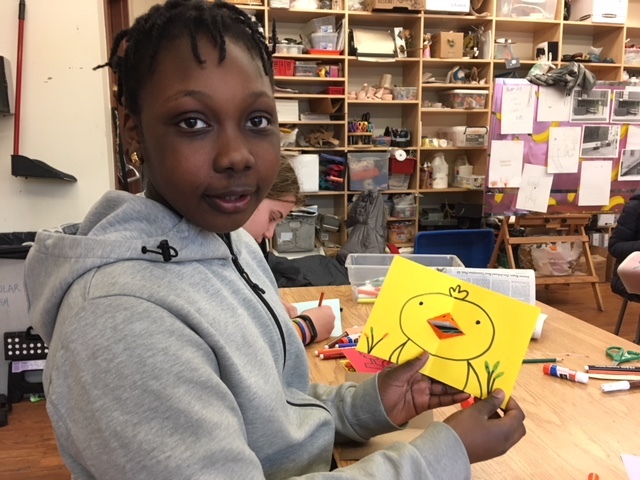 Many students chose random images and thought of ways to connect them, while others picked one subject, such as animals or water, and worked from that idea. 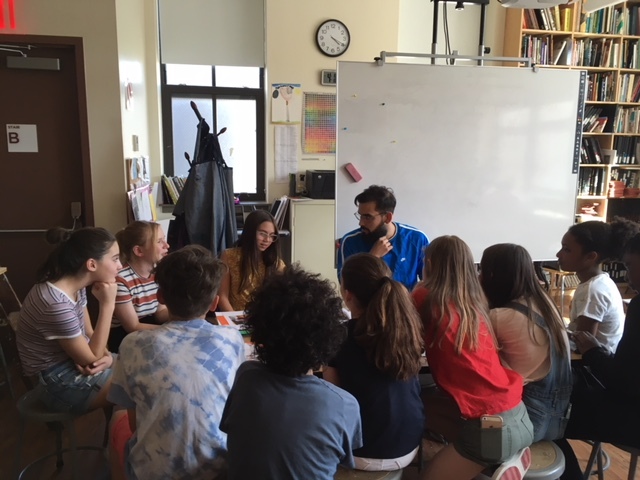 In early May, Ayde Rayas, a licensed creative art therapist and art educator at Cooke Academy High School, came in to share some of her students’ work and lead a discussion on zines and social change. “How can we act as agents for changes we wish to see in the world?” she asked. 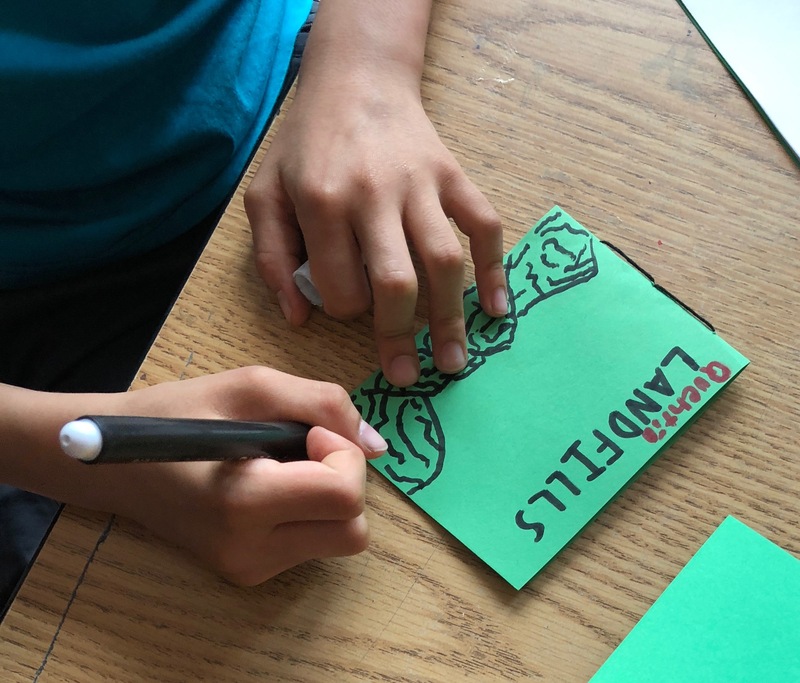 Each student picked a cause they cared about, and made a zine about that subject. Themes included electricity, immigration, creativity, agency, waste, and endangered species. In mid-May, author, printer, and bookmaker Esther K. Smith of Purgatory Pie Press joined us on a rainy afternoon to share some of her very special handmade books, origami books, double sided box books, accordion books, and wearable books (such as a crown book and teeny tiny book earrings with short poems inside). Esther taught students how to make beautiful surprise pop-up poster books using a map folding technique. Don't miss the final workshop of the Zine Mania series: Wednesday, May 30th! Our sixth and final zine workshop will take place this Wednesday, May 30th, with very special guest artist Elvis Bakaitis. Elvis is a Brooklyn-based academic librarian, cartoonist, and author of numerous zines. They are the co-founder of the NYC Feminist Zinefest, now in its sixth year, and a coordinator at the Lesbian Herstory Archives. They will be discussing making biographical and autobiographical zines. 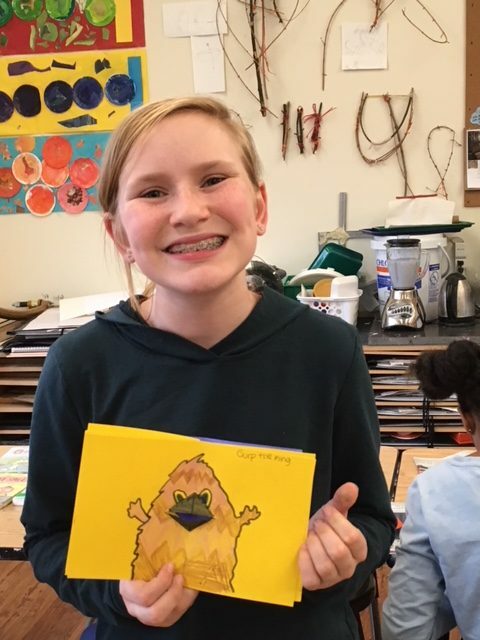 As always, it will be open to 4th-8th Graders and will be held from 4:15-5:15 pm in the Art Studio. No prior experience is necessary. RSVP here.